Welcome! 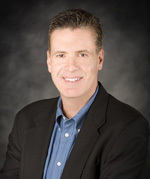 I’m Gary Kurtz, a HOM Sotheby’s International Realty broker associate. I am also the team leader of the Kurtz Real Estate Group. My team of experienced Realtors® and support staff/vendors focuses on residential properties, luxury real estate, condos and townhomes in cities from North Tustin, Irvine, Villa Park, Orange Park Acres down to Newport Beach and Newport Coast. We also have a strong track record in the Silicon Valley in luxury areas such as Atherton, Menlo Park, Los Altos and Palo Alto. Our client base relies heavily on referrals from clients and other Realtors® who respect and appreciate our integrity and strong work ethic as well as thru our various marketing efforts as we enjoy working with new clients and buyers in all price ranges. We have established ourselves as honest, ethical, and detail oriented real estate professionals. We are dedicated to fulfilling the needs and goals of our clients through clear, consistent communication with excellent knowledge of the luxury real estate market and experienced marketing and negotiating skills to ensure you the best deal, regardless if you are a buyer or seller. Why sell Your Property with Gary Kurtz and the Kurtz Real Estate Group? Every Realtor® wants to list your home, but not every Realtor® is up to the task of properly marketing your property. With hundreds of thousands or millions of dollars of equity on the line, your decision is much too important to just choose a friend, a neighbor, or the convenient local brokerage. You need your property to be where today’s buyers are looking. According to the National Association of Realtors®, over 90% of buyers start their search for property on the Internet. Let the Kurtz Real Estate Group make your property extremely visible where today’s buyers are looking. Let the power of our marketing base of buyers drive the price of your property to its maximum market value. North Tustin, Irvine, and surrounding area sellers are choosing us. The Kurtz Real Estate Group delivers! Over 90% of buyers started their property search online. Internet buyers spend only two weeks looking for property they ultimately purchase, compared with seven weeks for traditional buyers. We know how to reach thousands of prospective buyers who use the internet weekly to find their home, ensuring your property will be seen. Allow us to put your property in front of our buyers. The importance of choosing the right Realtor® to help you gain maximum exposure, and help you navigate smoothly through the selling process can’t be overstated. Your choice deserves serious consideration and investigation. We invite you to take a few minutes to understand the unique advantages only the Kurtz Team provides. Putting Your Property in Front of Today’s Buyers! Newsprint is having a difficult time. Today, buyers start their search by using search engines. Buyers search and find us because we are consistently on the first pages in search results. Our leading technology partners are the pioneers of the industry, providing the best search methods and content to make sure our website, and our client’s properties, are highly visible to today’s buyers. We invest heavily in technology to provide the best exposure for your property. We like being one step ahead! e-Flyers: We will email flyers to (97%) of the Realtor® in the surrounding area of your listing: (approximately 12,000 Realtors®). The Kurtz Real Estate Group sends color e-flyers via email merge to all active Realtors® in the area. Since 94% of property sales are through local buyers agents, this ensures that those who know and can bring in the buyers will see your property. Showcase Your Home: Your property will be “showcased” on realtor.com for maximum sale price. Additionally, each listing will have its own web pages and address. Your address domain will take interested buyers directly to your property’s comprehensive listing, including access to disclosures, virtual tours, property data, interactive mapping, city and school information, and much more. Outstanding Customer Service: The Kurtz Real Estate Group puts you and your needs first. Our experience, loyalty to our clients, and love of the Peninsula Area assures your success doing business with us. We utilize the latest social media trends to get the word out about your home or home search. From Facebook to Twitter to Blogging, we have you covered. We also make a video of your home and put it on YouTube and hundreds of video affiliated real estate sites that reach an audience of millions around the world. A buyer in China, Canada or Russia has the same opportunity to see your home first hand as does the local buyer in Palo Alto. We make the world a smaller place and allow your home to be purchased from nearly any place there is the internet. Contact the Kurtz Real Estate Group Gary Today! Contacting us is the best way to learn more about the Orange County and/or SF Peninsula real estate market. You’re always welcome to call me at 949.565.5201 or 650.796.5507, or send an email to gkurtz@homgroup.com. This blog is dedicated to sharing information about the Luxury Real Estate market and lifestyle in Southern California. From North Tustin to Villa Park to Orange Park Acres, Irvine and the coastal properties of Newport Beach and Newport Coast. I’ll keep you up to date on what is happening here as well as give real estate tips/guidelines and overall information on living the Southern California lifestyle. I also have a video show titled “The Real Estate Insider” which will give you inside tours of mansions in the area plus real estate information and news that relate to your needs. If you are looking to buy a home or sell your current one, please give me a call and I can help you achieve the goals you need in completing the deal. I work with properties in all price ranges from the traditional 1-2 million dollar family home to the multi million dollar homes in Newport Beach, Newport Coast, Menlo Park/Atherton/PaloAlto etc. and in outlying cities where homes are lower than a million dollars, so whether you need a Luxury Home or a moderate priced home, I can help. I work with a lot of investors from the local areas as well as from oversees looking to buy solid investment property in California as well. I also specialize in “discreet listings” where there won’t be realtor signs in front of your property or open house Sunday’s while still aggressively marketing your home to serious buyers. This mainly applies to the luxury real estate sellers, but can work for any client. I have more information on homes, schools, demographics, open houses etc. www.luxuryrealesateinsider.com is owned by Gary Kurtz, who is a licensed Realtor® and Broker with HOM Sotheby’s International Realty at 1200 Newport Center Drive, # 100, Newport Beach, CA 92660.